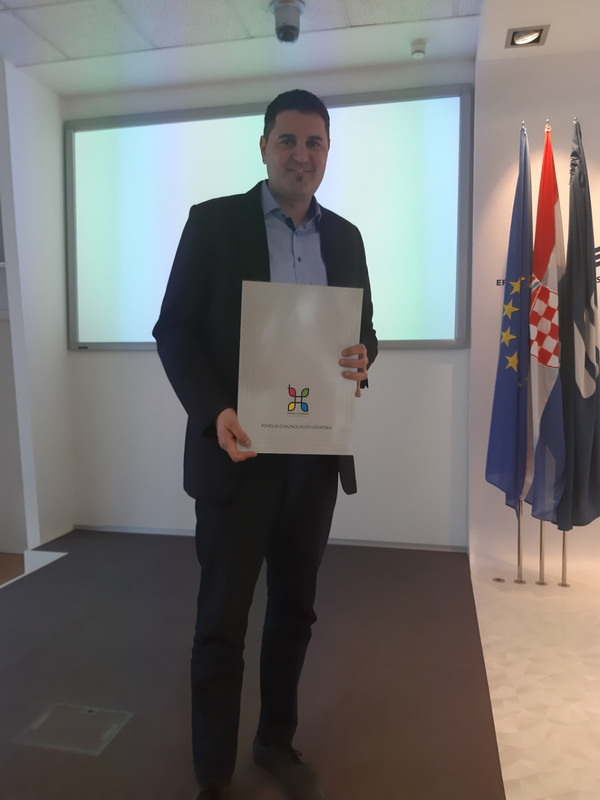 We are proud to announce that Orbico Ltd. has signed the Croatian Diversity Charter on 28th March 2019. The Diversity Charter is an initiative launched in 18 EU countries with the aims of promoting diversity, anti-discrimination, inclusiveness and equal opportunities in the workplace. Although the Charters of all the different countries follow the same guidelines, the text of the Charter is not predetermined; each country creates it individually, and participants sign it on a voluntary basis. The Charter is primarily aimed at the business sector, and by signing it, Orbico Ltd. accepts to publicly support, protect and develop diversity in its organization and its chain of values, and will endeavor to create a stimulating environment for everyone, regardless of the minority group one might belong to. Renowned members of the business community were appointed as ambassadors of the Charter who help in its promotion. The Charter serves as a platform for cooperation and communication in managing diversity, and it enables its signatories to implement a diversity policy, and to access sources relating to best practices and other resources developed by the European Platform of Diversity. The European Platform of Diversity was established by the European Commission in 2010 in order to support the development and exchange of best practices among members. 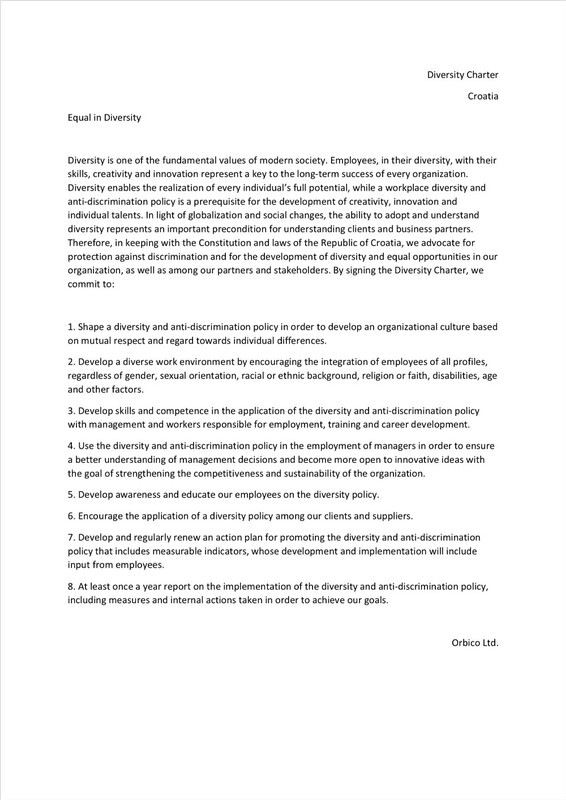 Today, the platform brings together more than 7100 signatories from the 18 countries that have adopted the principles of the Charter on a national level, and more than 14 million employees enjoy the benefits of the voluntary dedication of those enterprises and institutions involved in implementing diversity policies. For Orbico Ltd., the Charter was signed by the company’s director, Mario Matić.